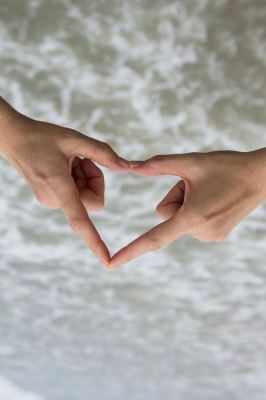 Image Courtesy of tiverylucky / FreeDigitalPhotos.net Give yourself some signs of finding true love. To a degree, God does have a say as to whether or not you're meant to be in a love based relationship - as well as being married with or without children. On the other hand, the mate in your life might be a stayer or a teacher. Everything happens for a reason. That is God's call. Moreover, in saying this, we do have partial control over our destiny. This also comes on our quest for love. There are some metaphysical steps you can take to manifest that love based relationship into your life. Have written about this before. What qualities are you wanting to attract in your ideal life partner? You need to be this person on the other hand for things to be in sync. I kid you not, the universe loves order. Same goes with relationships - in manifesting one. Motivational Guru Anthony Robbins hits the nail on the head with this. If he hears someone say that they don't want a relationship...his reply: "then why the hell not?" If you were in that category, Truly Heart would not have caught your attention in the first place. Create a vacuum in your living space. If you want to attract a partner into your life, then the questions must be posed. Who are you/who are you not being? For example, for your partner to be able to live with you, you should have a double, queen or king size bed. Metaphysically, only sleep on one side, and that way you will have created space for your partner to sleep with you. What about your wardrobe? Allocate half the space for your partners clothes. What about the bathroom vanity? If the two shelves of your bathroom vanity are full of your beauty stuff, there will be no room for your partner's things. If you're not in a relationship, don't put your life on hold. Continue to go to the movies, beach and/or theatre - as well as have coffee with Mary for instance. Still participate in those leisure activities that you love. Still be a person. Just get on and enjoy your life so that for when that relationship arrives, you won't be to suffocating to your partner. You will continue to enjoy that amazing life of yours, and have that open space just to be free outside of the new relationship. If you are too attached on finding love, the law of attraction will unconsciously pick up your message that you're not in a relationship, and will (hence) give you more of what you do not want - more of not being in a relationship. Case in point. When you let go and you're more than ok with what happens - whether you end up falling in love again or not you'll still be happy. With that attitude miracles happen. Really let go and resign as the manager of the universe in this situation, and bingo someone's now in love. Congratulations to you. Whether you believe that there are plenty of fish in the sea or not, and you're not in love at the moment; or if you are and you're seeking changes - please just hang in there. There is a lover out there for you. Have faith and just trust. I wish you all the best with this.